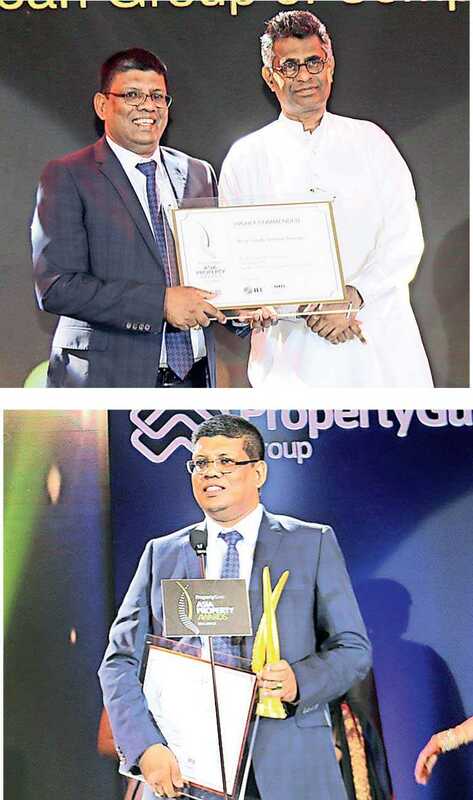 Blue Ocean Group, one of Sri Lanka’s leading real estate developers was yet again in the limelight at the inaugural PropertyGuru Asia Property Awards – Sri Lanka award ceremony recently held at the Shangri-La Hotel, Colombo. Blue Ocean Group was nominated for an impressive total of eight awards including multiple nominations for the Special Recognition in Corporate Social Responsibility (CSR), Best Condo Architecture Design, Best Affordable Condo Development, and Best Condo Interior Design. Sri Lanka took part in the esteemed PropertyGuru Asia Property Awards series held in Singapore for the first time in 2017 where Blue Ocean Group was bestowed with the coveted award as Sri Lanka’s Best Developer and also clinched the awards for Best Interior Design, Condo Architecture Design and Sustainable Development. Continuing its streak of success from last year, the Group went onto win multiple nominations and awards this year at the inauguration of PropertyGury Asia Property Award’s Sri Lanka chapter. “At the core of our business is our philosophy that revolves around innovating through our own style of quality construction. Excellence is a key word in our approach to the business and this is the reason for all the success we have achieved within such a short span of time since our inception. It gives us great pleasure to be recognised with multiple nominations on a prestigious international award platform such as Asia Property Awards. It goes on to affirm our unfathomable commitment to excellence,” said Blue Ocean Group Chairman S. Thumilan, commenting on his company’s success at this distinguished award ceremony. PropertyGuru, Asia’s foremost online property company, initiated Asia Property Awards series 13 years back and the award show has earned unparalleled reputation for credibility and transparency as the entries are judged through a rigorous and fair process by an independent panel of renowned industry experts. Blue Ocean is currently doing over 35 projects in 10 cities, targeting more than 1250 apartments at one stretch, which is regarded as a record for a private company in Sri Lanka’s real estate sector. To be more specific with our status, we wish to name some of the projects completed or ongoing. Seven projects were completed between January-June 2018, valued Rs. 4 billion, six projects to be completed before end of August 2018, valued Rs. 6.3 billion, six running projects in hand, valued Rs.11.5 Billion, 07projects being designed, valued Rs.14 Billion and another 15 on-going projects, valued Rs. 20 billion, all of them totalling to approximately Rs. 55 billion. Blue Ocean Group continues to be a dominant player in Sri Lanka’s real estate and construction sectors, shouldering a bulk of construction work in the country and across many fields from condominium and commercial projects to government funded development projects. Blue Ocean’s vision to achieve excellence in all their endeavours is carried out by the Group’s construction arm, Link Engineering, backed by the other companies of the group – Link Ready –mix, Link Aluminum, Contessa, Link Heavy Machineries. Blue Ocean Group claims that the root of their success is in their ability to provide professional client-oriented services on time.